Fab mixes a full song, step by step, explaining every setting, using only Pro Tools 9 stock plug-ins. If you are using the latest Pro Tools 12 or Ultimate version, do not worry, most plug-ins are still present in the latest Pro Tools versions. Good morning children! Today, we're going to mix a song together, using nothing but stock Pro Tools 9 plug-ins. You know, the ones that come free when you buy the DAW. The artist name is Happy Roads, the song's name is "She won't go", of the album "Find me", produced by Bob Muller. I urge you to find the album, it's really good. First things first, when I get a song like this, that I don't know, before I start mixing, I listen to the rough mix, or to the raw session, before anything else, so I get a vibe for the tone of what I'm looking for. That's what we're gonna do first! This is the raw session for "She won't go". So here the point - I think - of the song, what they mean to do, is have a small intimate verse, and then hit you really hard on the chorus when the bass drum hits. That's what the emotion comes from. I'm gonna focus on the chorus, because that's where everybody is playing, and you get to see the mixing of everything, and how they interact with each other. The first thing I do is look for the vocal, because this is pop music, and it's a vocal thing. and find the vocal, and see what it says. This is a stem, so there's reverb printed on it. levels, is it even? Does it need to be compressed? Brightness, is it bright enough? You know... on its own, before I meld it into the song. Ok, great singer! Great singer who needs de-essing. So let's put a De-esser on. Digi stock De-esser, I think it's really good. I'm thinking 7k, and let's find out how much it needs. I'm gonna do it HF Only, so it doesn't affect the signal too much. It caught the T, that's nice. Just so you remember, it sounded like this without the de-essing. Ok, I think that's gonna do just fine. I'm feeling like I need a little bit of air. So I'm gonna use an EQ. Where is it? Here! I tend to high-pass by default. I always high-pass everything, it makes room for everybody else. I'm gonna do a very broad, a very gentle shelf, like this. With the Digi plug-in, you can actually soften it this way, so you don't hear this big hole there. You see, there's a hole here? I don't wanna hear that. I want it to be just a gentle rise... and it would sound like this. Do you hear how it's a little nosy? She's got a little bit of a nose thing going here. That's nice and more open. I would also probably kind of tuck in that 300 area, where that nose is, just to help out. It feels more contained, it actually feels more compressed. If I remove what I've done... This is the flat. You see what I mean? It's all in the energy that comes at you from the vocal, not always in the top, sometimes it's in the bottom. In this case, it's in the 300 area. There's that energy that comes on the attack that's kind of annoying, and would stick out of the track. So, just a couple of dBs down at 300Hz, and it's gone, and you don't have to worry about it. and this is just to give it solidity. I don't need that much compression, I don't need everything to be compressed all the time. I'm gonna lengthen the Release a little bit, so when it compresses, it gives this solidity to it, and compress a tiny bit more. So... when I say compress a tiny bit more, it means: compress earlier in the process on the lower levels, but have less effect... So do it more often, but less of it. but it gives a nice vibe. Check it out. So this is without. It doesn't sound too compressed, and it will not sound compressed at all in the track. reverb on the stem that the producer sent me, I would probably try and integrate that with the reverbs that I'm gonna use for my song. Instead of having all that different reverbs, I'd like to use one reverb for everything in the song, so I get kind of a together kind of vibe. In this case, I'm using the AIR reverb. I made myself a preset out of their Hall preset. It's using the Scoring Stage Type, which is a nice wide hall. This is the sauce of the mix. Next to it here, I have a short reverb. That's the back wall, that's how I create depth in the mix. the perception of instruments that have been recorded too close, like vocals, or percussions that have been recorded very, very close. Here, I have a 1/4 note delay. Yes, it's a 1/4 note delay, because I'm counting this song double time, it's not an 1/8th note delay. Then I have an 1/8th note delay. I'm using the standard Digi plug-ins. They sound great, they're repeaters. If you wanna give them more vibe, you can use the low-pass filter. In this case, I'm using them clean, because I really want something that's cushiony and a little glistening, so I like to keep it nice and open. And those are clocked. Then, I'm using the Ensemble, it's an AIR plug-in that sort of resembles an SPX 90 Ensemble preset, I'm sure that's what they meant, because it sounds really close. And it's a pitch-shifting trick, you know, how you can change the pitch on the left, and change the pitch on the right of the same signal, and then you blend the pitched signal with the original signal, and things sound a little kind of wide, and an assembly, like in a choir kind of vibe. I'm using that to soften things, and make the choir sound more choirly or a little otherworldly. First, I'm gonna listen to the reverb. You see? It's not the cleanest reverb, but it's actually doing exactly what I want. It's giving the air above the head. Lots of Ambience, so you can hear it. I'm gonna turn the other one off, so you can really focus on the Ambience. Now you hear, there's kind of a back wall going on. That's nice and smooth. I play it again. Cool. I'm happy with that. Now, I'm probably gonna go look at the bass. The first thing I'm gonna do is probably high-pass that. Why would I want to high-pass a bass? Well check it out. Listen to it again without high-passing. Now I'm gonna high-pass this fairly severely, say 24dBs per octave, turn it on, in the 30 range. The articulation is better. It actually sounds a little fatter. How's that possible? Well, if you remove the stuff that you don't need, there's more energy left for the stuff you need. and see how that does. There's a little bit of a "mmm" thing, in the middle there. I'm probably gonna try and find it, and remove it with this. I'm assuming it's in the 100 range. That! The resonance there. I do not like. like this! So now, check this out. If you listen to this on your computer speakers, you're missing out! Make sure you listen to this, so you can hear the bottom. Speakers are great, or good headphones. to hit me a little more in the chest. Right now, it's all like balls, but no chest. So let's give it a little bit of that 300 ring. It sounds like this. I'll start without, and add it. It starts to be more dense, more compact. And then, I'm gonna compress it a little bit. Do I need to squash this bass? No! It's been cut to tape, well done, the transients are already tight, the playing is great, it's already very compact. get it to be even more compact, but gently of course. We're civilized people here. Maybe a little longer... Release. Maybe a little less of the Ratio. A little more presence, and a little less peaks on the hits that he slaps with. So, with the vocal, it sounds like this. Great! Now, I'm gonna go to the bass drum. and the bass drum is half the bottom. The bass drum tends to be a very important instrument that takes a lot of room in the mix. So I wanna make sure that I'm actually positioning my bass and my vocal vis-à-vis my bass drum, as opposed to just doing my thing, and then bringing my bass drum later, and being screwed, because I don't have enough room for it. In this case, the bass drum is one microphone, or maybe there were two microphones, but they were printed to one tape. Let's listen to it with the bass. We already notice that the bass is too loud. I'm gonna bring it down, so we can hear the bass drum better. It's always better to bring the loud instrument down than to bring the quiet instrument up. Bringing the loud instrument down saves you trouble later. Here we go. What do we do with this bass drum? It sounds great, right? I think it could have a little more "oomph" at the very bottom, I think it could be a little more open on top, and also, I think it could be a little tighter, just a little bit tighter, as far as dynamics goes. Something like this... It sounds like this. And now, with the high-pass. I'm actually removing some bottom. It's tighter, more compact, it's actually fatter. Again, just like with the bass, good trick. Now, there's a little nose there too, that conflicts with the bass. I'm gonna try and find that. I'm gonna look to see if it's in the same space. I think it's a little higher. That! I don't like that. All we've done is remove stuff. It still sounds better and louder and fatter. I'm gonna open the top a little bit, because I wanna hear that beater a little harder than I do right now. a tighter bottom, a more open top, it goes very well with the bass. I'm gonna put a compressor on it. I'm really gonna kiss it, more than compress it. I don't want it to, like... hang like this, I want it to be a little more compact. To do that, I'm gonna compress it very little, like this. Some Make-up Gain, so we listen to it at the same level. Listen for the density, the attack, and the attitude of it. It's at the same level. Actually, it's a little louder. I'm lying to you. That sounds a little real to me. And I don't want this to sound real, I want it to sound big. Because my Attack is a little bit open, it lets the transients go through so I get a little more of that initial attack, and then, I get the density of everything else being a little compressed, so it's just a little... like that. I like that very much. And the two of them together is lovely. Let's open the snare! So in this case, I'm not quite sure what I'm gonna do until I listen to the overheads too, because the snare by itself doesn't tell me much. I'm gonna take the overheads down. What I'm hearing here is that no matter what I do, I'm gonna have trouble getting presence on the snare, because these overheads are crucial to the tone, but they're pretty far away. I'm probably gonna high-pass it, just because we can. Notice how the bass drum bleed is less. Also, that little ring at the bottom there is annoying. So I'm gonna leave the bottom as a low shelf like this, and try and find where that resonance is. On its own, it sounds a little thin, and not necessarily pleasant. on the overhead. Here we go. Ok. And now, the three of them together. go back on the close snare, and get a little more of the bottom, which is what I need. That was a miscalculation on my part. Here we go. Now the snare is just sitting there like dead fish. I'm gonna compress it and try and give it a vibe. If I close the Release, it's starting to pump a little. Maybe a little more like this. Ok. Maybe a little more. See how it has a little more sustain? It's got a little more of a vibe. It still sounds a little honky. So I'm gonna do another EQ after. Why would I have two EQs, one before, one after? If you notice here, I'm just high-passing and removing stuff that's in the way, that probably would freak the compressor out, further than I really want it to be freaked out. And then, here I'm gonna do my enhancing. If I were to do my enhancing before, which I can do, but say for example, if I add 4dBs at 6k on this snare, before the compressor, then everytime that it hits the compressor, it's gonna slap it hard. If I do it after, the compressor is gonna leave it alone. So, how about this? And... a little higher. That's nice. And then a little bit of a shine here. Obviously, we're getting the presence here, and it's clipping like crazy. So what I'm gonna do, because it was recorded too loud, is I'm gonna pad the input of the first plug-in down 6dB, so that I don't clip the input. Which means what? Which means that I have to go back and reajust my threshold here. Which sounds great by itself, but in the track was too much. We definitely get more bite, more presence, and a funkier attack. With the three of them together, it sounds like this. Now, did I do good to make it so bright? What if I remove my plug-ins? It sounds like this. I know by experience that this is gonna be a problem when everybody is playing, the snare is gonna sound far away, and the producer is gonna call and say: the snare sounds far away. I'm gonna anticipate this right now, and make it a little too bright by itself, but overall, it's gonna sound great. So I'm gonna set up a crush bus, or a parallel processing for the drums. So I have it here, called CRUSH. There's nothing on it right now. What I'm gonna do is send all three drum tracks to it, into the Aux called CRUSH, which bears its name very well. I'm gonna set those tracks so you can see them like this. What did that do? That copied my balance between the three instruments to the Aux, neatly, without having to do it by hand. Rock'n'roll! And then, I'm gonna make those three tracks Pre, so now I can have one mix for the dry sound, and one mix for the crushed sound up here, and they're different, because these Auxes are pre-fader. And then, I'm gonna put a compressor on there. And I'm gonna crush the hell out of those drum tracks. Because these are in Pre, I'm able to listen to just the CRUSH bus. Close the Release to make it pump. We're getting the drums a face-lift. Fair enough. We're not gonna use this as is, as you've seen in the Parallel Processing video, we're gonna use it to enhance what's already there. And now, I'm gonna turn the other drums back on, and then tuck this under. I think it probably would work even better if I make it less stereo, and more in your face, mono in the middle like this. You noticed I'm clipping on the CRUSH bus. That's because I'm getting out of here way too loud. So I'm gonna take it down on the output of the compressor, so it's no longer clipping after that. And then, bring the output out. with the vocals, just to see how it feels, and maybe a tiny bit of reverb on that snare, just to see if it sounds good. It already could sound like a record for a very minimalist producer. Next, I know there's two loops that I'm gonna bring in, because I wanna fill in the groove. What do they sound like by themselves? I think they sound great, but I foresee a problem with the bass drum. Check it out. In the sauce, that's gonna be too much. So all I'm gonna do to this is probably just high-pass the very bottom of the loops, so that all that extended low end doesn't get in the way of our driven bass drum. It sounds like this. Did you notice I just copied from one to the other? A little higher. You see, now they hang better. Without the high-pass on the loops. Also, the one on the left is annoyingly bright to me, I'm gonna low-pass that. So that way, it's not in the way of the vocal, which is here. There's also a percussion track. Listen to the transients and the attack, especially of the lower pitched tone. And do maybe a little bit of a peak limiting kind of trick, using this compressor, and just kiss that little "ding ding" thing. It just gets those things to not do that. Get rid of him. And the bass... It sounds like this. Alright! What else do we have? There is a tabla. Let's listen to the tabla. I'm gonna have the same problem with this as the rest. It's too fat. It's gonna be in the way, and the whole track is gonna sound too fat. So I'm gonna make it less fat! With. I can afford to go a little higher. The tabla sounds great, it's really well recorded, but it sounds a little close for the vibe I'm going for. I'm gonna put a little bit of the Ambience in it to push it back in the mix. Check it out. First, I'm gonna play it dry, and then I'm gonna raise this fader and add more of the Ambience. Just a bit slapback kind of like the back of a room kind of vibe. And with the drums, it's nice. Everything is nice and together. I think I could do the same Ambience on the percussion as I have on the tabla. The two of them together sounds like this. This sounds like a recording. This sounds more like the real thing to me. Everybody is nicely blended together. Now I'm gonna start thinking about tonal instruments. If you think I'm going really fast on these percussions, you're right! I'm going fast because they're well recorded. Do they need compression, EQs, things? No! They sound great, leave them alone. And they have vibe. They don't need to be helped. So what else do I have on this chorus? Let's listen to this guitar. Again, that's a little bit too much like a documentary to me. I wanna make a vibe out of this. I'm actually gonna start with the compression because those peaks are annoying me. And then, I will see if I need EQ after that. First things first, let's try and find those peaks and tame them a little bit. Very long notes. So I'm gonna lengthen the Release, so I can really stay on top of the whole sound. Ok. I like this overcompressed tone for this. This is too much compression, but I like it. Cool. So, on this, I'm probably gonna use my delays to give it a vibe. So, let's try the 1/4 Note, and the 1/8th Note delay right away. I tend to have those set up in every session. That's nice. And then the 1/8th note is a super wide delay. A little bit of a like 80s chorus kind of vibe, because the 80s are far away enough that it's no longer shameful to do the same. And then, I think it's a little too aggressive in the top. So I'm gonna maybe tuck that. That's gentler. High-pass it, just because I can. Ok. So we started here. How does this sound in context with the bass and all our percussions that we worked on so far? It works! Next instrument is that Whistle thing. Besides the "Na, Na", that's a little aggressive, I think it's fine as is. I'm gonna try and find that resonance and get rid of it. Hear it again. "La, la, la, la". Listen to the resonance on that note. I vote for 1k -ish. Much better, now you can listen to it in the track. Ok. It sounds good there. That's really the back wall, right? Then, there's this thing I forgot when I did the vocals. There's this other vocal track that appeared out of nowhere. So that's really a pad, more than a vocal track. What I would usually do when I mix is probably copy the settings over. And because it's recorded by the same guy, and the same singer. So good chance it's gonna work. Actually, it doesn't need to be so bright. If you compare with the whistle, it's the same range. to give it an eerie sound, and a more faraway sound, and I think I'm gonna try the Spread on it too. I'm copying it over from here, and maybe less of it. What if I put the Spread on that obnoxious Whistle thing? Oh yeah! It's a little gentler, a little softer, a little dreamier, I like. So, what do we have? Choir, Lead vocal, Whistle, Guitar FX, bass, two loops, Percussion, Tabla, the 3 drum tracks, and the CRUSH bus. And it sounds like this. You noticed at the end there, it goes "Away" on the choir track, and that's way too quiet. Now we have a full chorus, and we actually went through everything that's playing on the chorus. That snare still sounds a little too real for me. So, I don't think it deserves to be so verbatim. Maybe I can find something that's gonna make it sound a little off. What do we have here? Lo-Fi! Let's try that! It's just the snare. Nobody tells the producer I'm doing this. He doesn't want to know. In the context of the drums. I think we can gain a few years by using this on that. Since we already have an 80s reference, and since nobody's gonna sue me for this, how about we put a non-linear kind of like gate reverb on it? Just to say we can. That's kinda cool. The whole drums. That actually has kind of the same vibe as the loops, right? This is the whole chorus with the last two tricks I did on the snare to try and give it some vibe, and then without. So at this point, I have all my tones, most spaces I'm pretty happy with. Probably, actually I'm starting to get an idea that it may be a good idea to have the reverb on the drums, on the CRUSH drums, as opposed to have it on the snare by itself. That may actually give it more of a spread, and sound less weak. Let's go back to the rough mix, listen for a few bars, and then switch to the mix, so we can get a before/after, with and without plug-ins. Here we go. Rough mix. It may not be the final mix, because I have to listen to it again tomorrow with a little distance, and I have to bring the producer back in, and listen to his opinion, hoping that his opinion is not that I'm crazy. So I'm gonna send it to him, and wait for the phone call. As a reminder, this whole mix was done with the great stock plug-ins of Pro Tools 9. Great Video. Thanks for Pure Mix and Avid making me a Pro. Great Video! Is it possible that the exercise files are not working? I get compression error when i try to open them. WHATS THE TEMPO OF THE SONG ? Great instructional video, stock plugins get very little attention but you have shown their potential in less than 1 hour. Hi Fab I'd like to see you mixing song but using dangerous 2bus+ only without hardware. Very Informative, but since I don't have the same set up as he has in pro tools I'm struggling to follow up with his steps as they are only briefly explained. Un petit côté Grace J... Nice. Another great video from Fab.... Just one question: I've noticed that you never used gate on kick drum or snare drum to clean the track. Why? Cheers!! i really have to say after my network is running smooth now. & then watching this tutorial i have a very good idea & feel much more confident that i can totally do a mix on some other peoples tracks & make them sound as good or if not closer. SHOUT OUTs to FAB & Guilaume. i will be watching much more of these videos. Concise. No nonsense. Another great video from Fab! However, if anyone else is interested in hearing more of the featured artist, the name is actually Happy Rhodes. - You could enable the download of the pro tools session with the processing shown in the video, so we can tweak the plug-ins. - I'm also having problems watching in full screen mode. - I would like to be able to download the video, instead of only having the streaming option. - I really like the teaching style. Focused, easy to understand, overall solid. @ Icetea335 Yes I do. All the time. Now with ProTools 10 I use the clipgain function, which is nice too. @ donobi I don't believe this song was cut to a click. You have to use tap tempo to sync your delay. A little looseness does not hurt. It's ok unless you are delaying drums. For reverb sends, it depends on the reverb and what you want to do. If it's a TRUE stereo reverb and if you want to sound realistic then yes, match you send pan settings. You could just as well have a track panned left and send its signal hard right to a stereo reverb. It's fun and sounds rad. Try it. Thanks Fab! 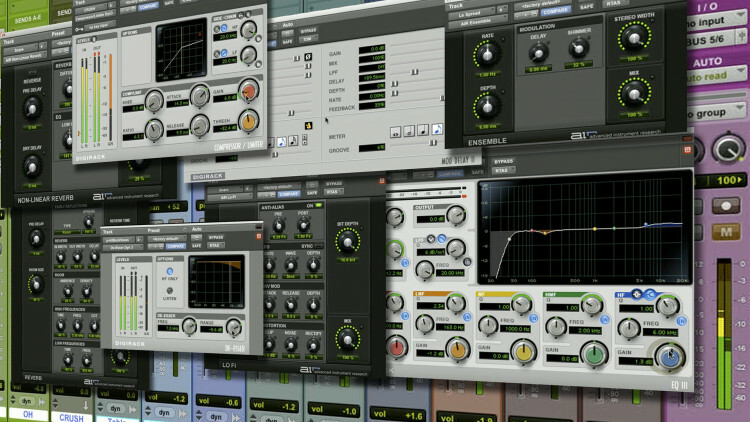 Do you ever use trim plugins to bring down hot tracks? How can you watch it Full Screen? Great Video, thank you. I love your approach to mixing. Oh, and it was a quick 45 minutes with you. Fast moving and no BS/filler. Others I have watched tended to either have too much drama, were painfully slow paced and also rather boring. We in the studio are kinda hooked to Puremix, now using downtime to learn together. Thanks for the reply Fab! It shows your dedication and professionalism answering questions like mine (well, right now, I'm the only student asking these questions doh). I know you can appreciate where I'm coming from. As a working engineer, I am faced with horrendous mix situations on a regular basis; from badly prepared mix sessions to incomplete productions. Most of the mixing tutorials I've seen (and I've seen a lot) tend to work on a session that is just superbly recorded or properly prepared - which is just too far from my reality... and so on.. out of space here. tnx! Hi Gerry, 1/ In 45 minutes we could either glaze over the whole song, or truly focus on one section. pureMix is more about in depth than general ideas. We chose the chorus because it has the live drums and is the most complicated. 2/ Yup. Producers send whatever they have. Sometimes because they are lazy, sometimes because they forget to turn off the FX when the print their stems, sometimes because they are not paying attention (Often), sometimes because that's the FX they want and it's not negotiable. 3/I have not noticed any latency problems w AIR plugins on auxes w PT9. It's a great video production, AAA for production value and teaching style. I do have some comments. 1. the mix was not of an entire song but just the chorus only? 2. do you usually get vocals like that? 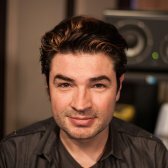 already processed (comp + EQ) and even with reverb printed? 3. lastly, no latency issues using AIR plugins on AUX busses? but overall it's a great video tutorial, solid and focused! Cheers! Thanks Fab, This was an amazing video. The two things that were amazing about this is 1) Your teaching style is straight forward and extremely effective. 2) The quality of the audio is the best I have heard online yet. When you bypass and/or compare before and after, I CAN HEAR; its no guessing what you have done. Great Job and I can't wait for more tutorials to be released. Fabulous!! This is the most practical video I've ever seen.. There are many great techniques that can't be learned from books and even audio schools. I love it! Great stuff Fab! Highly recommended!